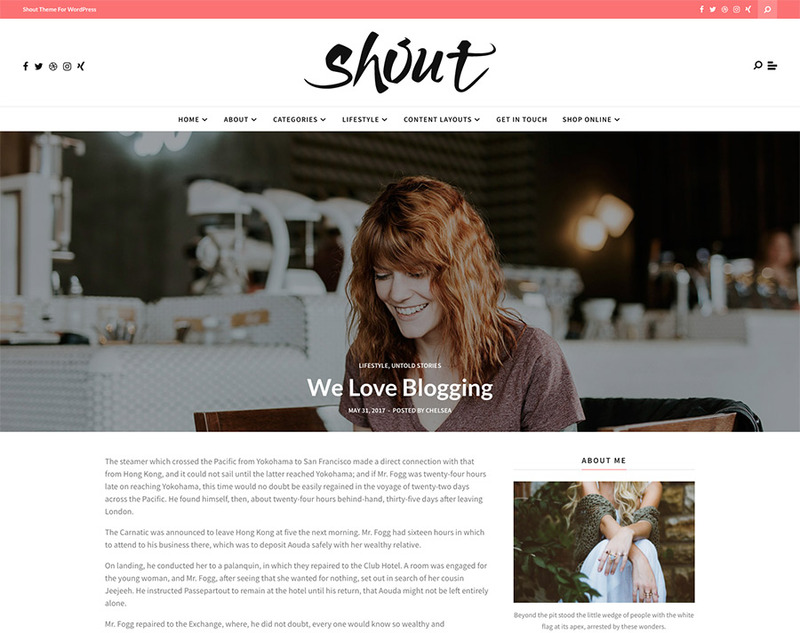 Shout is a well thought and easy to use blogging WordPress theme. Envisioned to accommodate all types of content, the theme offers all the necessary options. All demos can be generated with a single click. 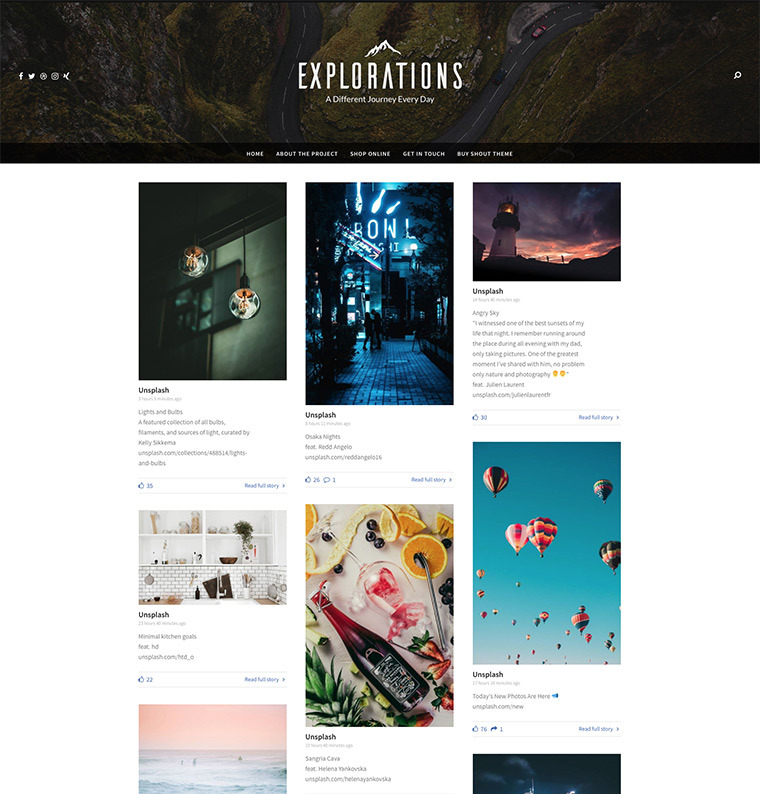 Lots of layout options available for your posts. You can customize also colors, sharing feature, fonts and sidebar display, among other things. Your website, your way. Adjust with ease the color scheme and the general layout of your new website. Add content to posts and pages without any coding skills. The theme has all the necessary options to create various types of blogs. Unlimited colors schemes can be used. Tired of complicated themes or you're not that tech savvy? No worries, Shout was built with that in mind. Power with simplicity is our goal. 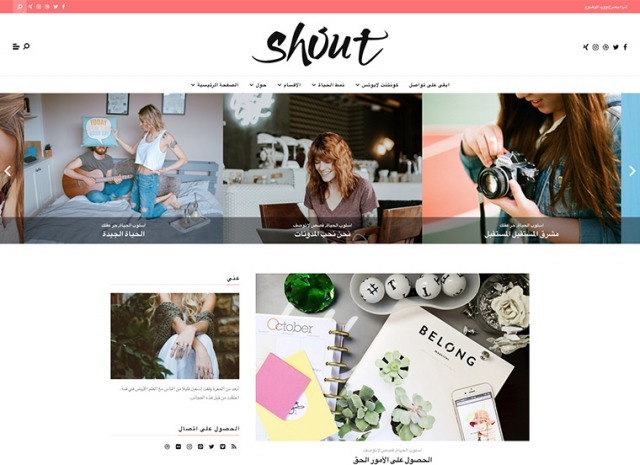 Fully compatible with WooCommerce, with Shout you are ready to sell online. Bring your business online and start selling today. Worried about the learning curve with Shout? We got you covered with a series of videos tutorials available on YouTube. Need to create custom layouts? Ok, not a problem! 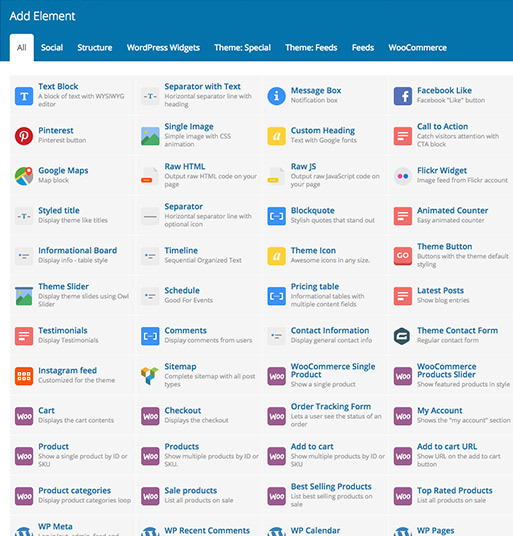 With this page builder you have over 50 elements available to add to any page. We are very proud to share our accomplishments with everyone. We are 100% committed in building good and solid themes and keeping our customers happy. Play around with the theme options to create your own header. Don't worry, because colors, fonts and sizes are 100% customizable. If you prefer create your own header using the page builder that is included with the theme. Tired of updating your Facebook page and repeating the process on your website? 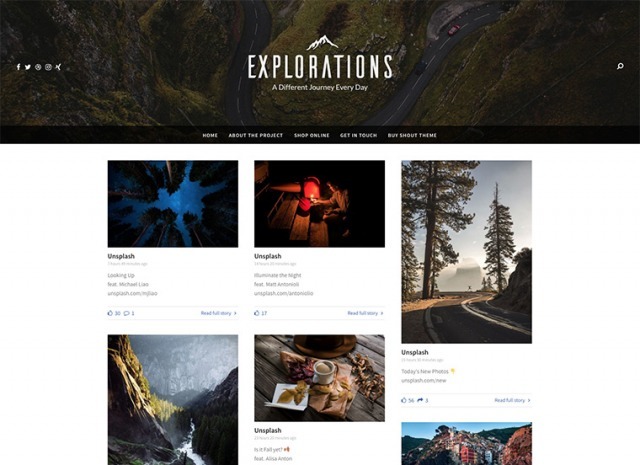 Tired of plugins that show ugly Facebook feeds? 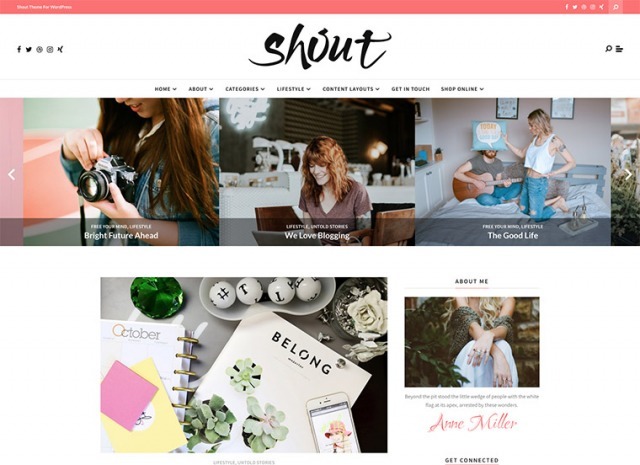 With our Shout WordPress Theme you can show your Facebook feed beautifully and in a fully automated way. Pretty cool, huh? Amazing WooCommerce integration is what you can expect. 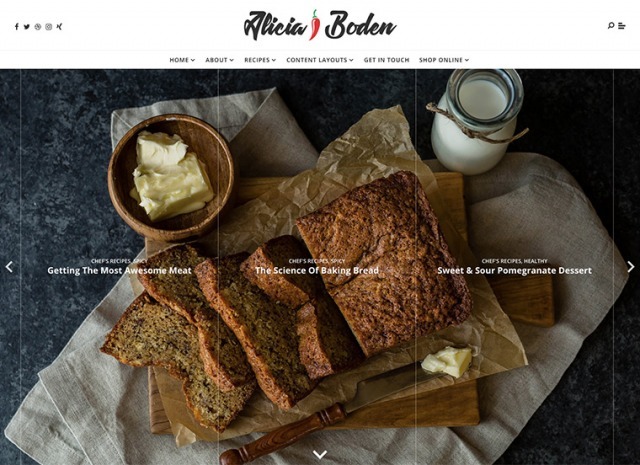 Setup your online shop in (literally!) 10 minutes and start doing online business. Advertising and affiliate programs can be integrated with ease too. With zero coding skills. Really! 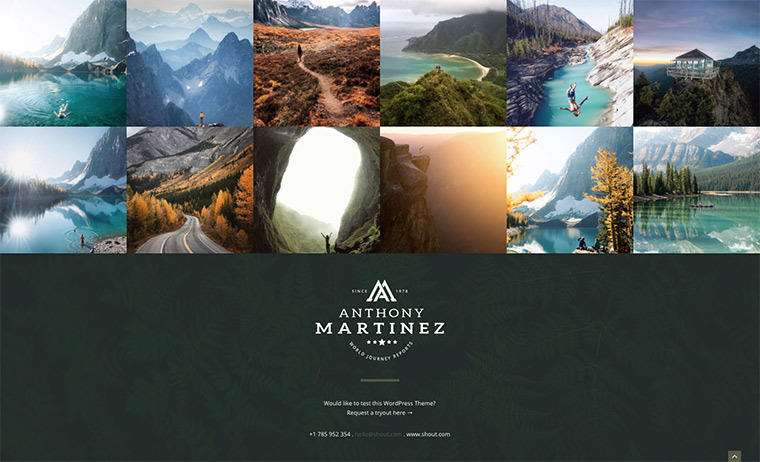 Create stunning pages with over 50 beautifully tailored page elements with just a few mouse clicks. 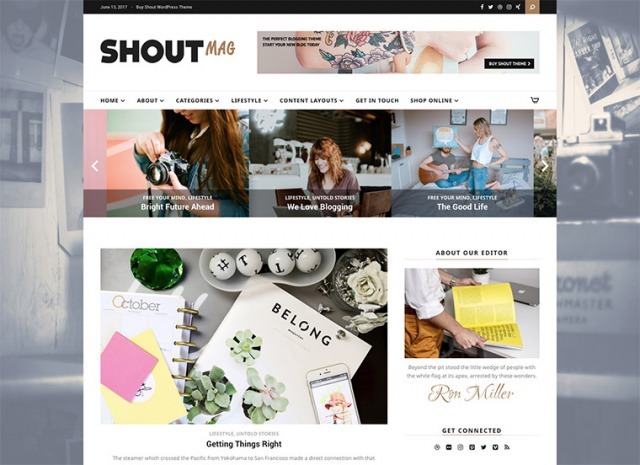 Enjoy all the flexibility provided by the Shout WordPress Theme and the page builder that is already bundled. We are really passionate about footers and we believe that it is really important to make them fully customizable. That is why you can generate a footer using the theme options or design your own using the theme page builder. We have carefully tested the theme with all major plugins. Below you will find a list of some of these plugins. Feel free to reach us if you want us to test a specific plugin. Mobile experience is really important and we all know that. We have worked hard to improve the overall mobile performance and user experience even on the smallest screens. Get started today and explore new possibilities with Shout. Create engaging experiences that will make visitors come back to your new website. 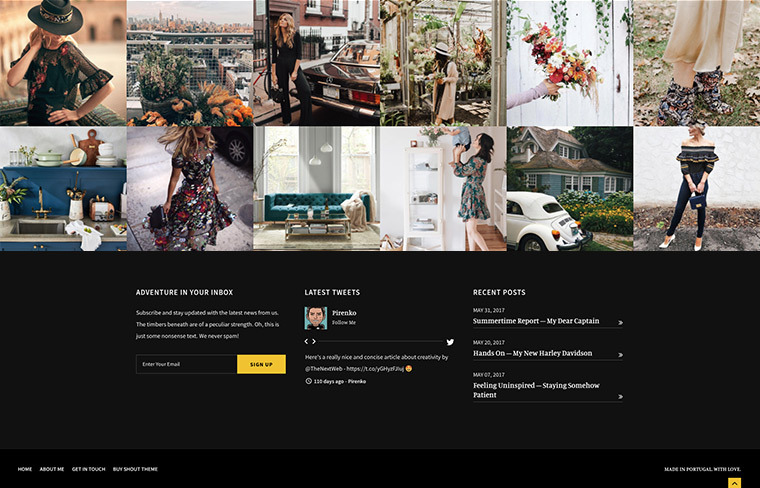 "This theme is absolutely gorgeous! 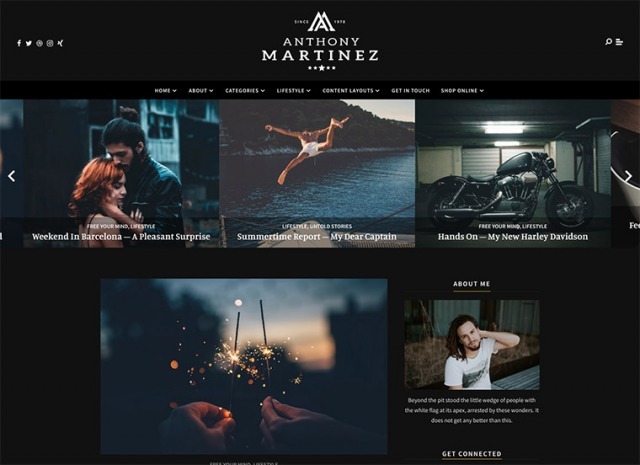 It has a vast range of options, it is easy to use and it is beautifully designed with the sole purpose of skyrocketing your blogging experience. The customer support is awesome. Pirenko provides excellent and quick tips related to troubleshooting and customizations. Two fat thumbs up for the unparalleled quality and support!" "Pirenko has been amazing at customer support! Taking the time to help me with my blog individually. He knows this theme better than anyone! His youtube tutorials, email/chat responsiveness, and eagerness to help have made my experience exceptional. His theme layouts are beautiful to boot! Fabulous, just fabulous!" 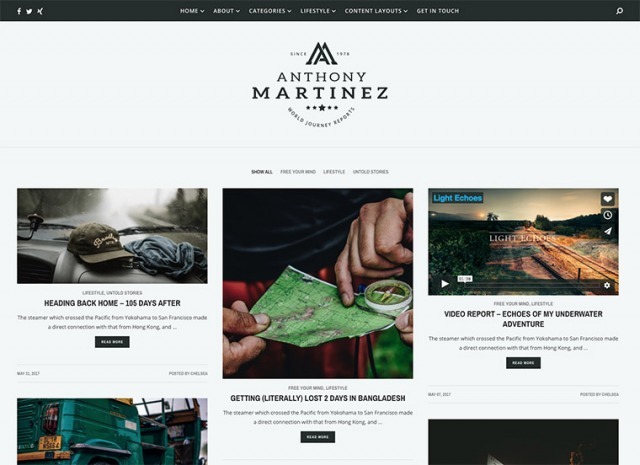 "I am not only impressed with the beauty of this theme and the many ways available to customize it, but I am super impressed with the timely and professional customer service! Thank you!" 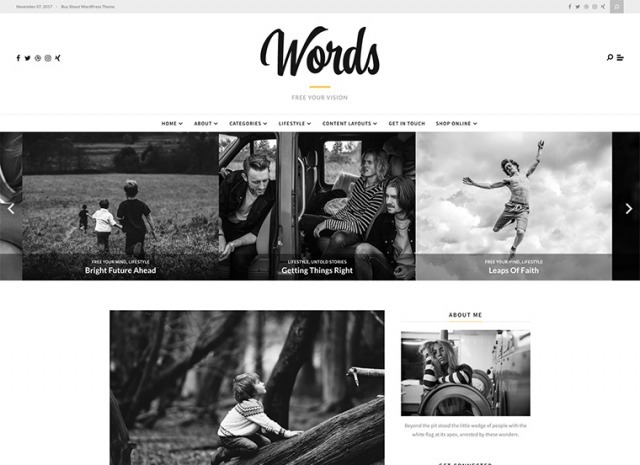 "An amazing theme, beautifully designed and very simple to use. And I have to say, their customer service is really efficient and quick! Congrats to the team!" "The theme gives you lots of options for customization and the customer support is great. Pirenko answers fast and is kind and patient." "Excellent theme and costumer support. Very easy to use. Congrats!" "The design and customer service are amazing!" Landing page created with the Hook WordPress theme.